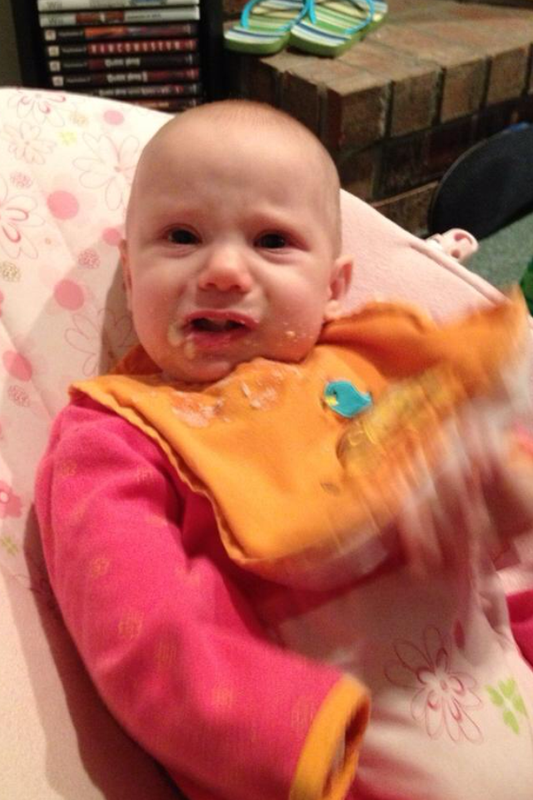 This afternoon, my Grandtwins took their FIRST bite of baby food meat, chicken to be exact. Uncannily similar to the response I had when it hit me that Keeping Up with the Kardashians is about to enter its 8th season. 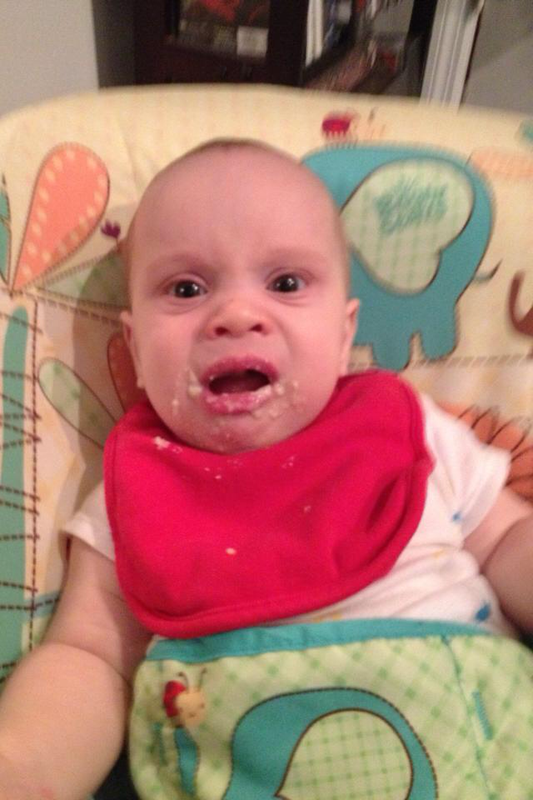 I fed my son a jar of “Peas and Potatoes” tonight; his expression was not dissimilar. After all but dodging the jar as it was thrown at my head, we switched up to apples and oatmeal. Did they eat the rest of the jar?? Ha! Not all of it.